Having never spent any time in Portland before, I thought it would be fun to take an impromptu weekend trip to celebrate Valentine’s Day. 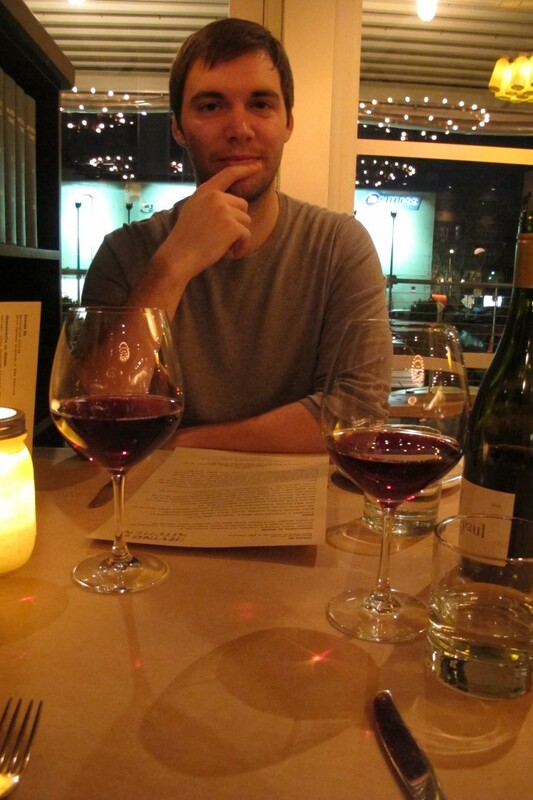 We had plans to spend Valentine’s Day with six of our friends already and still wanted to have some time to enjoy the holiday together, not to mention Alex had been to Portland before and has long since tried to get me to Seattle’s twin city. Valentine’s Day was spent at our friends, Mary and Ryan’s, house enjoying a five-course dinner, with Carrie, Patrick, Sara and Carsten also in attendance. I made the first course, which was a carrot ginger soup, Sara made a beet and citrus salad for the second course, then the third course was a special lemon/herb fish, followed by risotto and steak, which were made by Mary and Ryan. Carrie whipped up some flourless chocolate cake and chocolate cherry ice cream, accompanied by an assortment of chocolate covered strawberries. We sipped on a number of delicious wines and had some champagne and enjoyed the always wonderful conversation. After recovering from our Valentine’s dinner food coma, we headed up to Crystal Mountain with Patrick to bask in the sunshine on Friday, before driving down to Portland on Saturday. We had a wonderful weekend shopping, eating and enjoying each other’s company. Portland is a great city and has a lot in common with Seattle. Both cities are very small and walkable, though Portland has Seattle beat because it’s flat, both Portland and Seattle are a bit eclectic and overrun with homeless people, but again, Seattle seemed to have Portland beat on the homeless population, and both cities are full of incredible food, specializing in local seafood and organic/local produce. 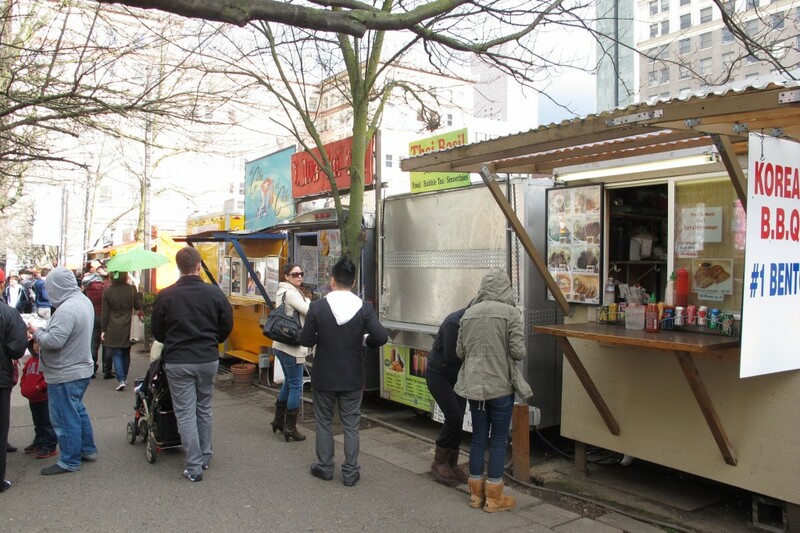 *Food Carts – Alex had BBQ, I had the Grilled Cheese Grill. 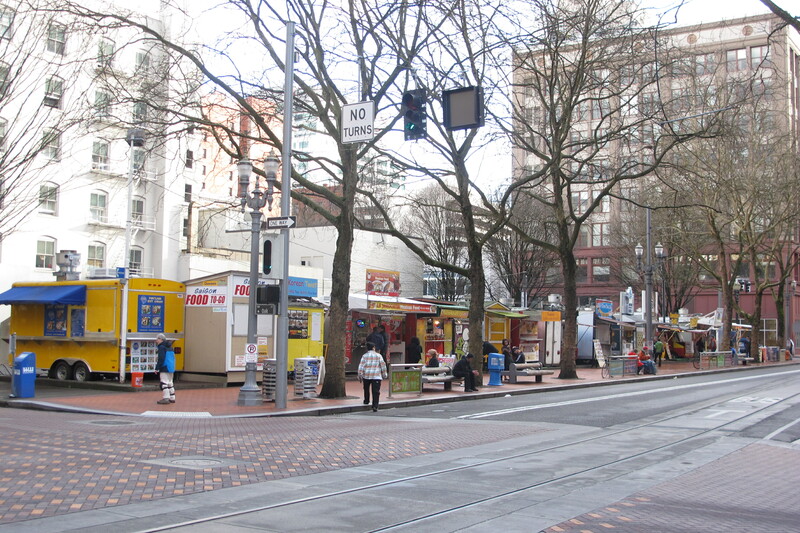 Portland has several “pods” all over the city where food carts set up shop together. There were several pods that took up an entire city block! *PF Changs – we dropped in here for a drink and some chicken lettuce wraps. I know it’s a chain, but I do love PF Changs! 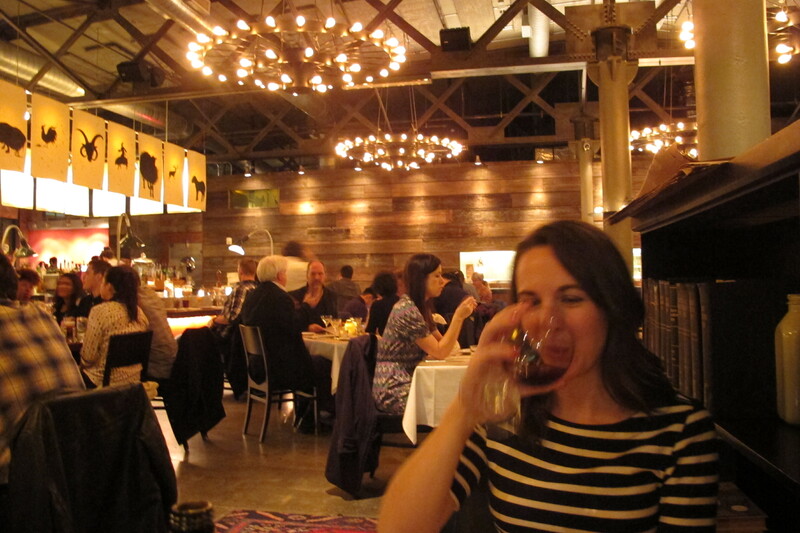 *Irving Street Kitchen – dinner here was a highlight. 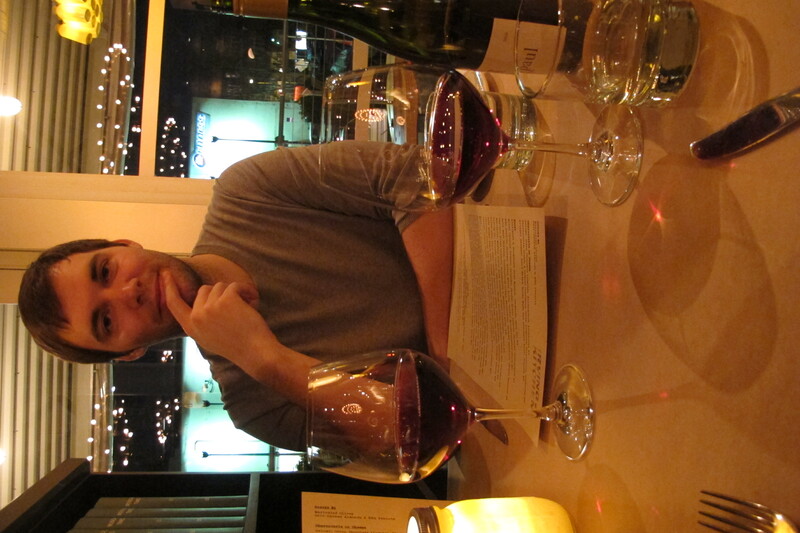 We shared a bottle of Scott Paul Pinot Noir, a local Willamette Valley wine, and had the bibb lettuce wedge to start. For our entrees, Alex had their specialty, fried chicken, and I had truffled stuffed breast of guinea ham. 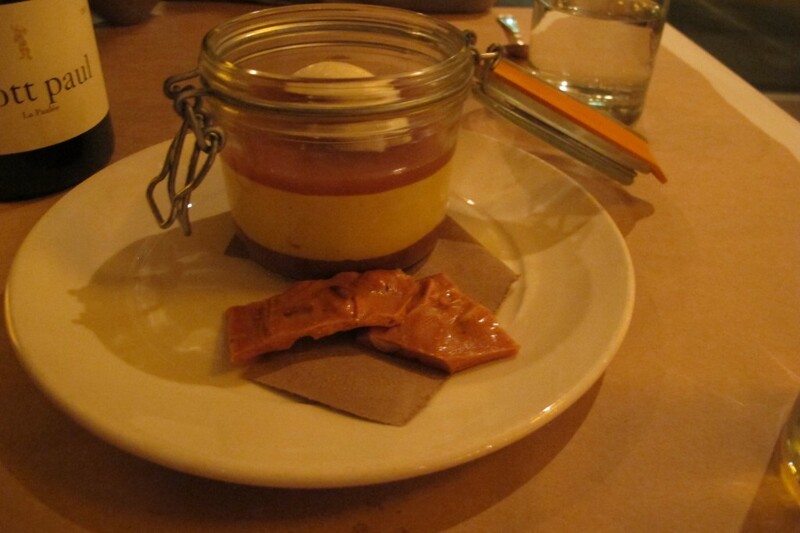 Then for dessert, we had salted caramel butterscotch pudding. It was as divine as it sounds. 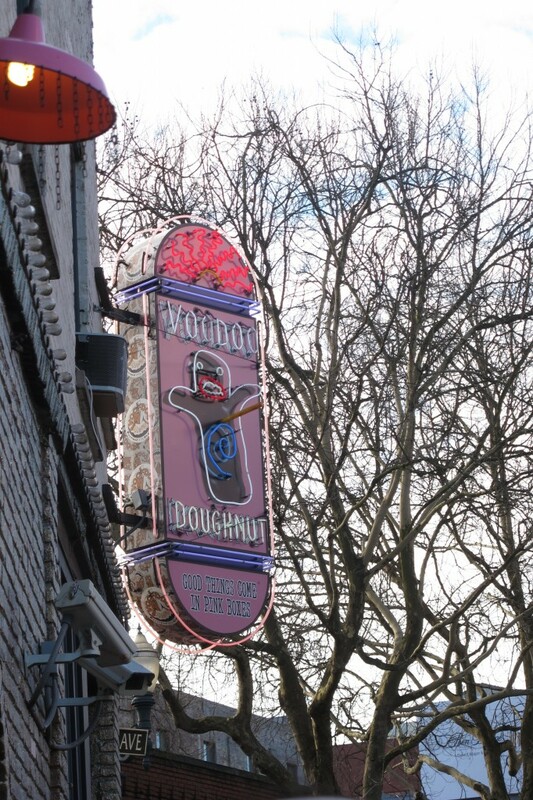 *Voodoo Doughnuts – a “must” if you go to Portland! 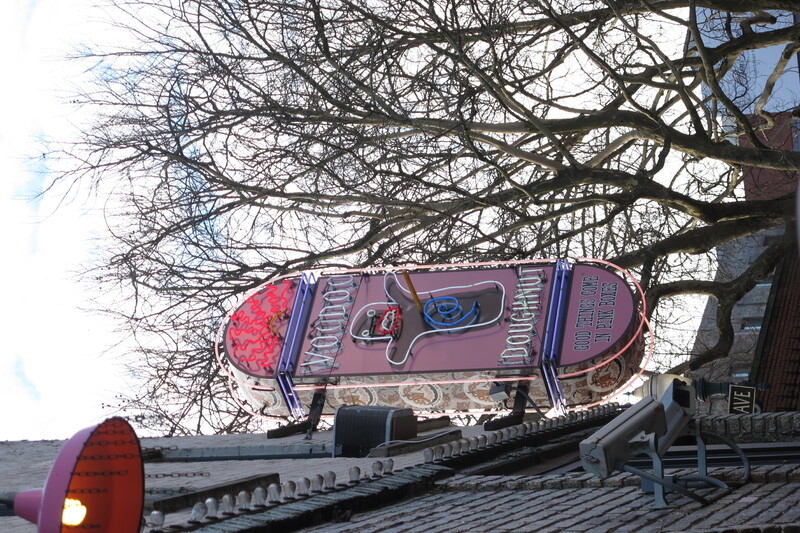 We waited in line for only 45 minutes (yes, only) to get our pick of doughnuts to sample. 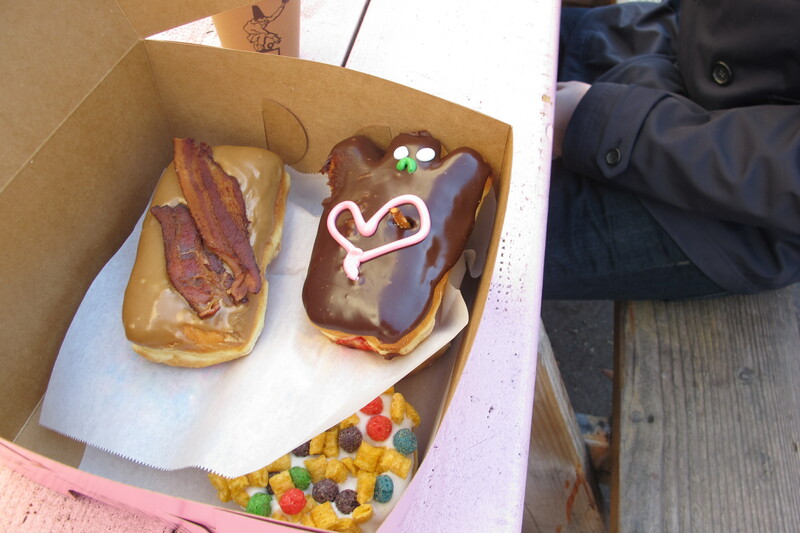 Alex got a Capt’n Crunch doughnut, a maple bacon doughnut and a “Voodoo doll” doughnut, while I opted for more traditional vanilla with sprinkles, old fashioned glazed and raspberry filled doughnuts. 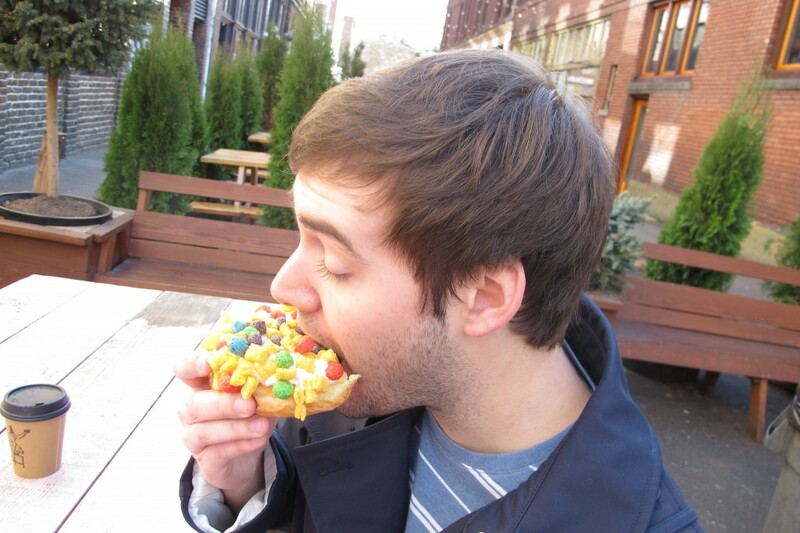 My favorite was the maple bacon and Alex’s was the chocolate Voodoo doughnut. It was definitely worth the wait just for the experience. And heavens, no, we did not eat all six doughnuts. *Mother’s Bistro & Bar – this morning we dined at Mother’s for brunch. It was wonderful! Alex had a scramble and I had a frittata that was bigger than my face. We would absolutely recommend this for brunch, but be prepared to wait for a table. Aside from eating, we didn’t do much else other than shop. Alex’s wardrobe was screaming for a makeover, so we did what any Washingtonian would do and took advantage of the automatic 10% discount since Oregon doesn’t have sales tax. I’d say that Alex did pretty well with some new tops, jeans, shoes and a nicer coat. I even got a couple things too. All in all, we had a great time exploring Portlandia and hope to make another trip back soon! This entry was posted in Food, Fun, Life, Travel and tagged Portland, Shopping, Vacation, weekend on February 17, 2013 by Alison Allen.